BEC worked on this new build eight-bedroom high-end home complete with basement swimming pool, cinema, gym, steam room, sauna and staff accommodation. 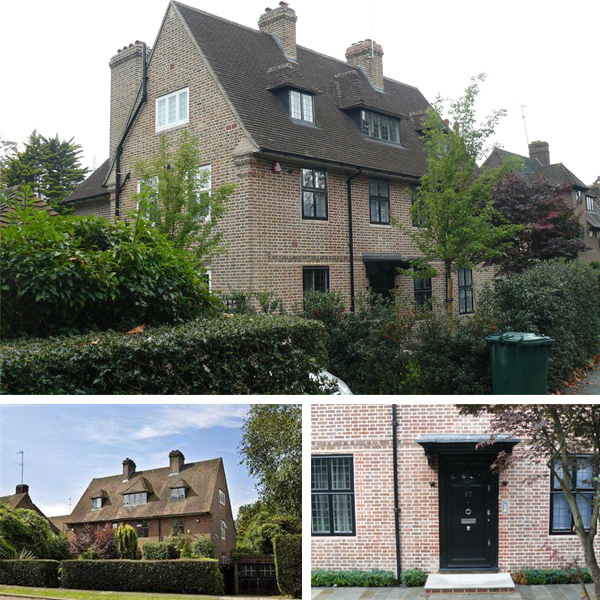 The development boasted four storeys and nearly 1000m2 of living space. The M&E services provided included a very extensive Lutron lighting control system and Crestron automation system for TV and audio distribution. Extension of an existing village property with a fantastic oak framed glazed extension. Heating is by gas fired underfloor throughout. Dealing with solar gains was a challenge but this was overcome simply with electrically operated opening roof lights controlled automatically by the home automation system. An AV and automation system controls everything from TV and audio distribution to thermal comfort. 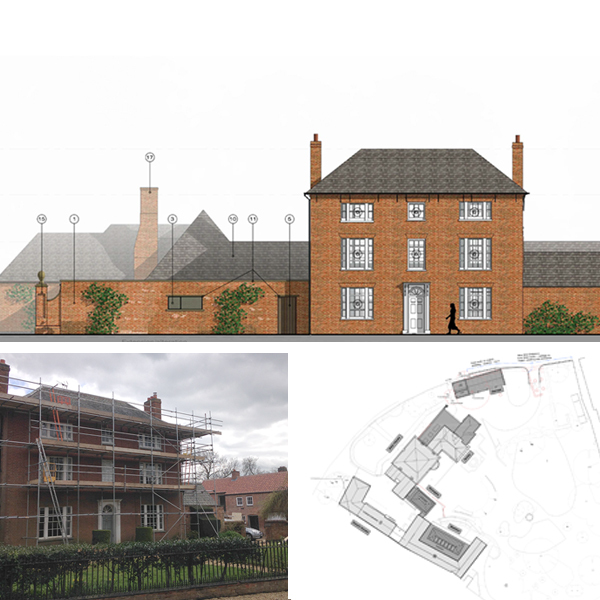 Extension and conversion of a substantial Grade II listed village home. This project started on site December 2015. The property is to be completely renovated, including all new heating, water, and electrical systems. 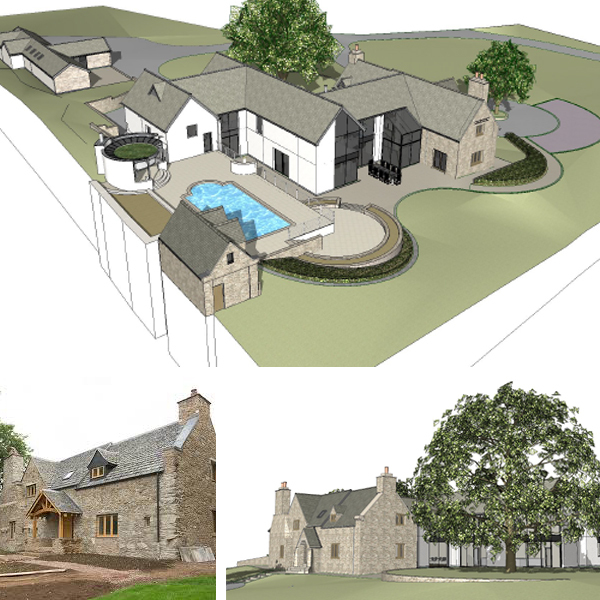 The coach house is to be converted into office, an apartment, and guest accommodation. The Annexe it to be extended and converted into a connected but self contained family dwelling with its own living, sleeping, and catering facilities. 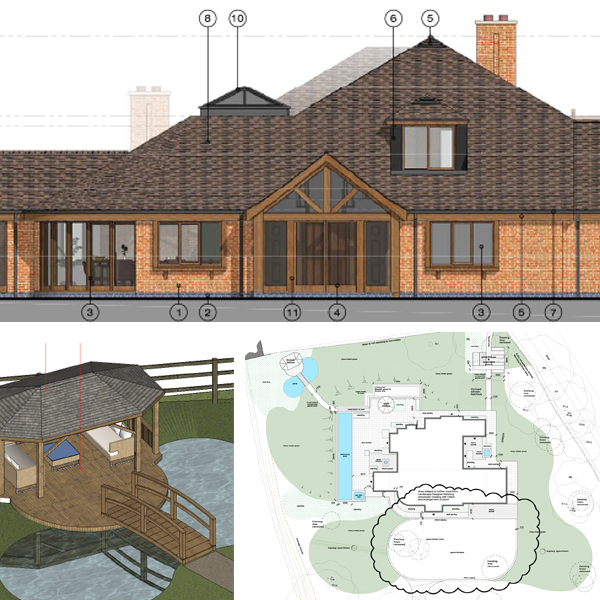 The stables are being extended and converted into a glass roofed indoor swimming pool. This large existing farmhouse in a Northamptonshire village, was substantially extended with a modern stone built extension, more than twice the size of the original property. The property has Biomass heating fed from the central farm system, back up from an LPG boiler, under floor heating, central heat recovery ventilation and cooling. Duties: Full detail of M&E including home automation and lighting design. The property has under floor heating and comfort cooling throughout, with heat recovery ventilation and cooling to its cinema room. Within the grounds are a number of features including a huge outdoor pool, hot tub, and breeze houses. 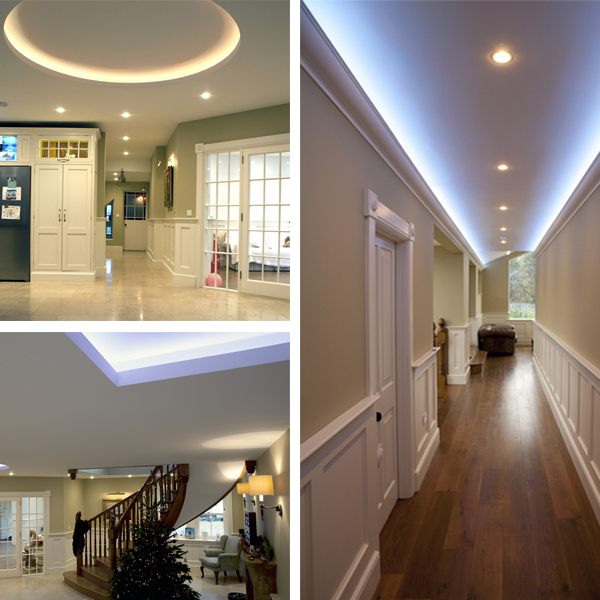 A Control4 automation system and lighting control system tie everything together and provide lighting schemes for everyday living and entertaining. Duties: Full detail design M&E including, including site monitoring. 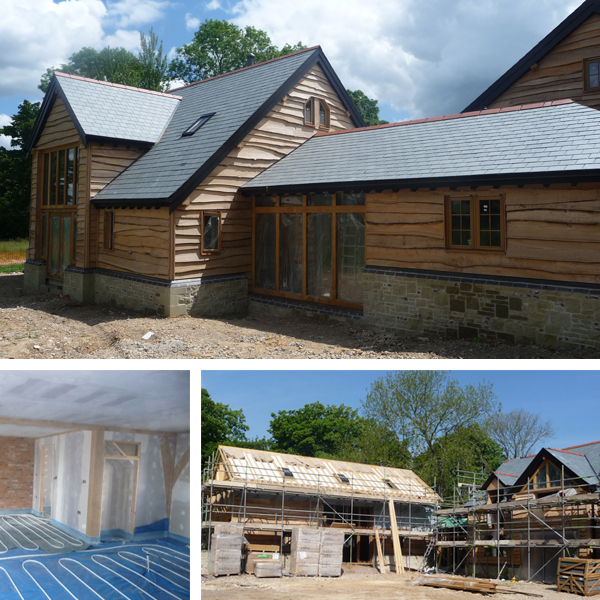 This project involved an oak framed property in the picturesque village of Ashmore. 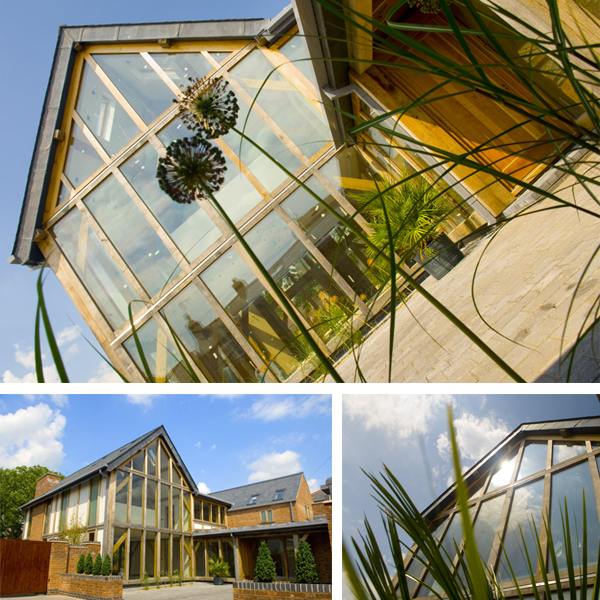 This was a very traditional looking property with very modern building services used to create a very comfortable retirement home. Heating was supplied by a gas fired underfloor system throughout. An AV and home automation system controlled everything from the TV and audio distribution right through to thermal comfort. An existing large cottage in an exclusive spot in Leicestershire was substantially extended with a modern yet sympathetic highly glazed building more than four times the size of the original property. The property has underfloor heating throughout with the ability of being chilled for summer cooling. Heat/cooling source is by two large commercial air source heat pumps. The property has three separate heat recovery ventilation systems which also provide summertime cooling. Duties: Full detail of heating, cooling, water and whole houses heat recovery ventilation, along with coordination of all M&E systems such as home automation and lighting design.